MLB Blog: Are the Blue Jays now Cleveland Indians North ? 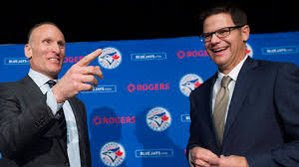 Two major pieces of the Cleveland Indians front office are now in the Toronto Blue Jays front office...Mark Shapiro and now Ross Atkins. Are we going to start seeing more Cleveland front office moving to Toronto ? Are going to start to see Cleveland Indians available players moving to Toronto ? Does this new front office understand the Canadian baseball market ?...do they care ?